Wholesale | Belly Ice Cream - All Natural Ice Cream, Ontario Canada | Handcrafted Chef Inspired Flavours! With Belly Artisan being sold at over 120+ locations across Ontario, the choice to stock your shelves is simple. The difficult part is choosing which flavours to sell! No worries, we can help supply you with the most popular items in a variety of gluten free, dairy free and always peanut free options. Belly is distributed throughout Ontario through Unfi Canada. The velvety soft texture and made fresh flavour pairs well with or without a meal. 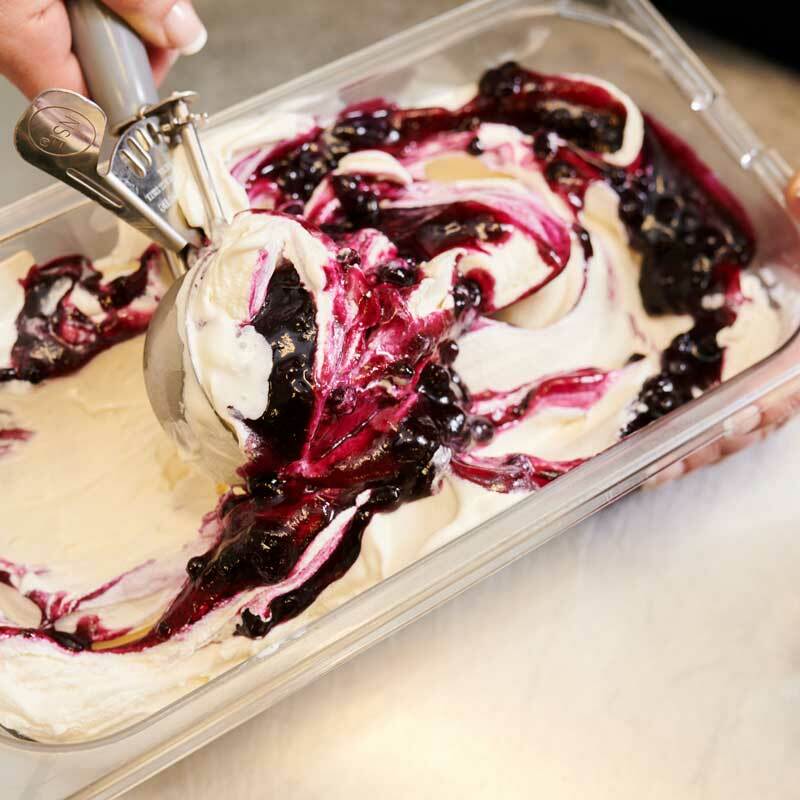 Put Belly Artisan Ice Cream on your menu year round or in the summer months. It just makes sense. Our delivery region currently covers all of Ontario. For other Canadian regions, please contact us directly to discuss potential opportunities. For Custom orders please allow 5 business days and a minimum or 5 pails. We are happy to work with your Chef to design menu pairings with our Product. Looking for a crowd favourite to sell at your scoop shop? We have 30 regular flavours plus seasonal favourites. All flavours are Chef Inspired, unique and very Canadian! Please note: We do not keep stock, every order is produced fresh for you. Contact Belly directly at bellyicecreamcompany@gmail.com or 705-571-5258. Delivery region from Huntsville to Toronto and east to Kitchener region.